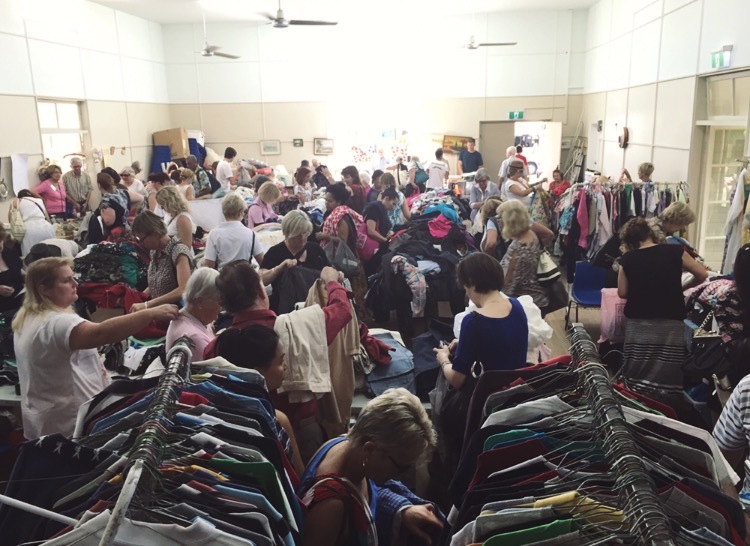 This monthly jumble sale is one of the hottest Brisbane rummages on the books! People literally line up for half an hour before the doors even open at 9:15am! Once inside it’s pretty much a mosh pit of people, with garments and elbows flying around…I’ve almost considered wearing a helmet! Ha. It’s definitely worth the danger though, I’ve scored SO many amazing things, from a leather belt for $1 to a gingham vintage maxi skirt and a daisy denim pinafore both for $3!